Beading covers all sorts of crafts created with beads. It includes making jewellery with beads, adding beads to fabric projects, melting beads like Pyssla, Hama or Perler beads, and more. Beads can range from tiny seed beads to large wooden beads. They can be every possible colour and made from lots of different substances – plastic, glass, stone, wood, metal, clay and even paper. I love how this book goes through all the basics with lots of photos, then explains techniques with projects to practice on – perfect for when you’d like to try something new but not something huge. 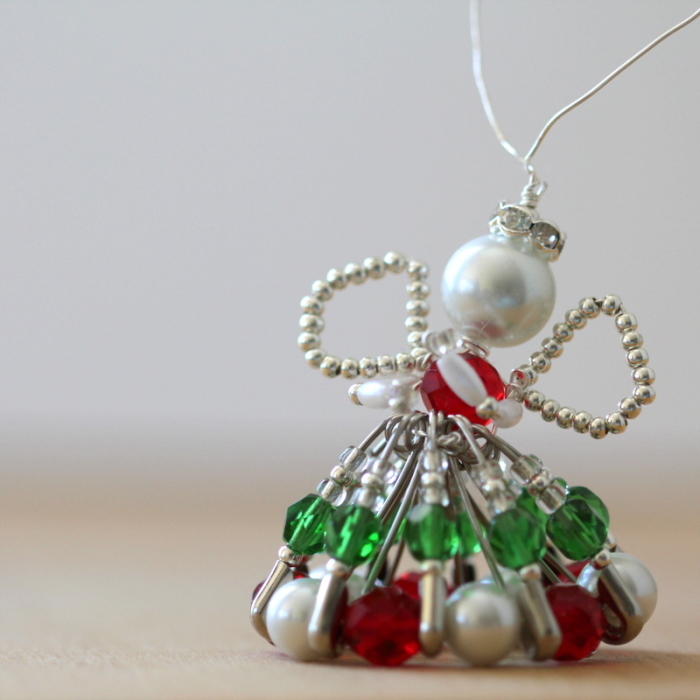 Beaded Christmas Angel – by far my favourite beading project recently – I even wrote a tutorial so you can make one too. Long Beaded Charm Necklace – I wear this necklace whenever I want to ad a bit of bling and don’t have quite the right thing to add to my outfit – plus it says “Crafty Mummy” all over! Beaded Bracelet – Another jewellery item I wear a lot in my favourite greens and blues. Wedding Sampler – For an example of beading on a cross stitch project, check out my “wedding gift to us”. Beaded Stars – Another of my favourites, these beaded stars come out to twinkle each Christmas at our house. I also created Double Beaded Stars. Beaded Bookmarks – For a super quick project try these simple beaded bookmarks – ribbon + beads = easy! 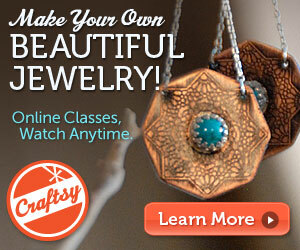 There are a number of classes on Craftsy for beading jewellery. I highly recommend their classes as great value for money and always high quality content.